Seems like it’s time for Male Nurses to make their annual trip down to Nashville as they’ll be gracing The Other Basement tonight. We’re sure it’ll be a party because… you know… those guys only know how to party. Just watch that video up there and you’ll know what we’re saying. If we’re lucky we’ll get a taste of that sick Blitz cover too. 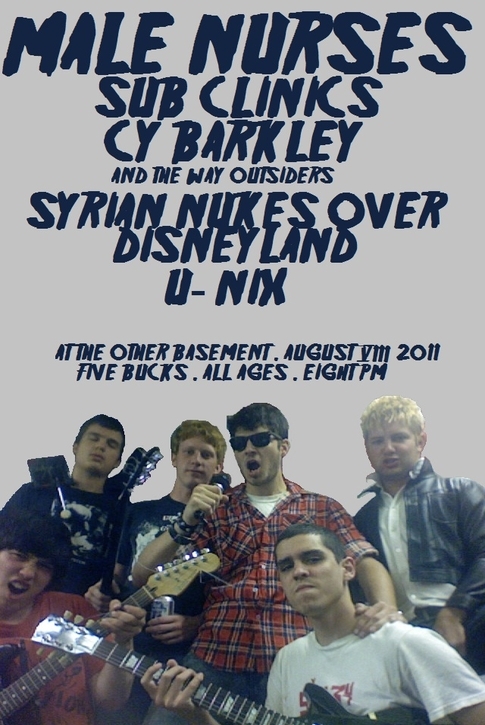 They’re bringing their Boston buddies Sub Clinics with them and there’s a whole stack of locals on the show [including everyone’s favorites Cy Barkley and Syrian Nukes — plus the debut of U-nix] Anyways, forget your bummer Monday and come get wild at The Other Basement tonight. That’s what we’ll be doing at least.